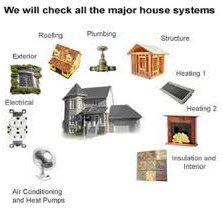 The Home Inspection is an examination of readily accessible installed systems and components of the building in accordance with the Standards of Practice, using normal operating controls, and by opening readily operable access panels. MHBI is not required to unbolt or deconstruct or remove any units that are sealed, or cause any destruction of the property. We also do not move furniture, so if the owner has covered up a problem area with a bookcase or a rug, you will only know there is a problem area on the day of your walk-thru prior to settlement. The Home Inspection requires an initial contractual agreement between you, the client(s) and the Inspector (or the inspection company). Make sure to read the agreement because, as with all contracts, it is binding. Once the contract is signed and payment is made, the physical inspection begins. Note that in most cases, the inspection report is a confidential work product, and can only be shared between parties to the contract, and other included parties. The inspector may have arrived early to look at the roof and/or evaluate the property as a whole and its surroundings, but it is strongly recommended that you attend the remainder of the inspection as it is in your best interests to learn and understand as much about the property and systems as possible. While the resultant report that MHBI provides will give you a wealth of written and pictorial information, listening to the inspector and asking reasonable questions, without getting in the inspector's way, is important for your future understanding of the property. Once the inspection is complete and all your questions have been answered, a written report will be generated and forwarded to you electronically, usually within 24 hours. The inspector may be able to provide you with a summary of items of concern that you will need for any discussions or negotiations, if it is required before the complete report is produced. The report is detailed and will include pictures of appropriate and unique items and items of concern. Any follow-up, due to systems being turned off or other issues that caused a system or part of the property to not be inspected, and require the inspector to return to the property to complete the full inspection will need to be agreed to in advance, as there is a routine return charge for this service. Once the inspection is complete, MHBI is committed to being accessible to you if questions, concerns, or problems arise, as we know how important a home purchase is in our lives. So please contact us at anytime in the future, as we know how important your new home is. MHBI pricing is based on four main factors: size of the home, price of the home, age of the home, and location. Providing the address of the property allows us to look-up the home, review any photographs that are available online, and quote an accurate price for the inspection.. If you wish to get a competitive estimate for your Home Inspection, please visit our contact page or e-mail us anytime. You can also call or text.